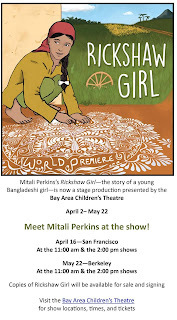 AuthorMitaliPerkins: RICKSHAW GIRL the play premieres this April and May! RICKSHAW GIRL the play premieres this April and May! 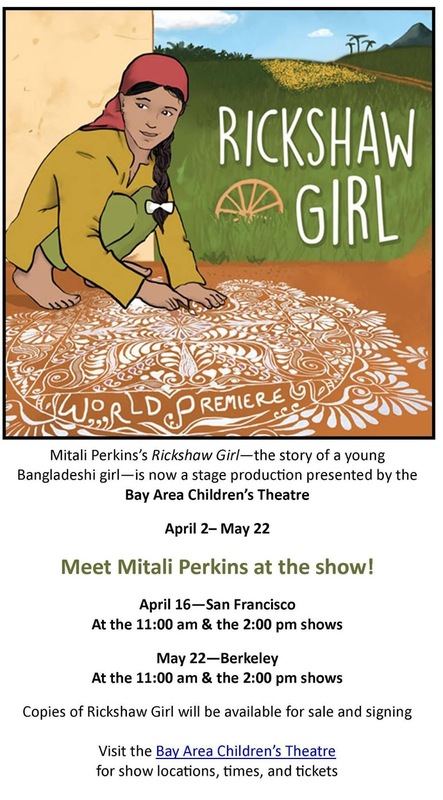 Every Saturday and Sunday at 11 and 2 from 4/2-5/22, you may catch the Bay Area Children's Theater's beautiful adaptation of my novel Rickshaw Girl. GET TICKETS HERE! And if you want to get a signed copy, come to the show when I'll be there (see below). Thanks for supporting this story of a brave girl who finds a way to honor her family.